A 6 track fuzzy doomy journey into the science fiction / fantasy world of Cybernetic Witch Cult, featuring two brand new tracks and four re-imaginings/re-recordings of tracks from the band's 2015 demo/album 'Morlock Rock', and introducing new drummer Lewis May. Formed late in 2013, Cybernetic Witch Cult started off playing Cathedral inspired, riff-laden Doom metal around the southwest. 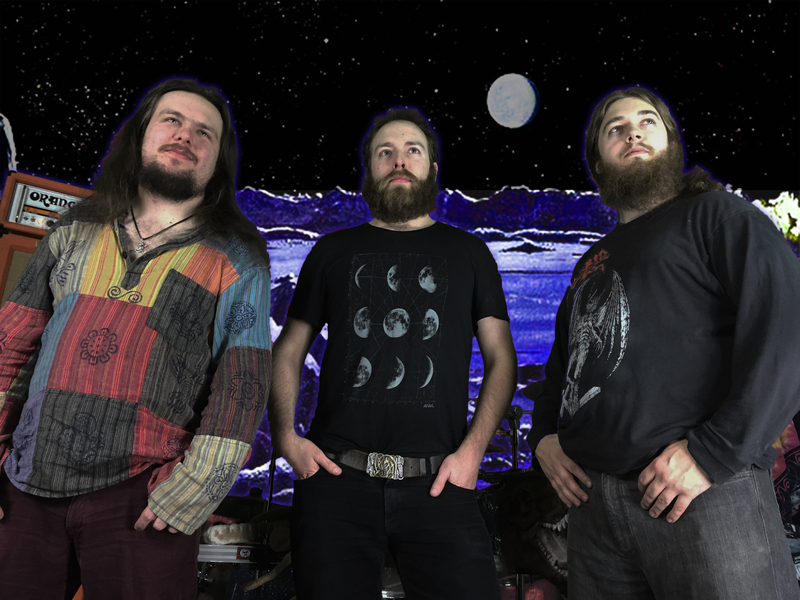 They quickly found their sound by fusing elements of Stoner, Doom, Prog and balls-out Hard Rock, filling what they perceived to be a void in the local music scene. Inspired by the likes of John Carpenter, Sam Raimi and other old-school Sci-fi/Horror masters, the band set about crafting an image and theme that treads the fine line between the fascinating and the ludicrous, with the aim to bring something truly memorable and engaging to stages across the country. ​Since the debut album 'Morlock Rock' and a Spinal Tap amount of replacement drummers, the band have been taking their infectious grooves and stunning musicianship up and down our fair isle, wowing audiences with deep hooks, spaced out fuzz and an iconic video show that lends a visual aid to songs about cosmic wizards, alien dinosaurs and martian druids. This dedication to a mesmerising live show has seen the band share the stage with bands such as Tribulation, Diesel King, Purson, Acid Reign and many more, as well as a rapturously received set at Bloodstock Open Air to a beyond capacity crowd. ​Alongside the critically acclaimed follow up, 'Spaceous Cretaceous', and a full UK tour with Welsh rising stars Lacertilia, the band have been exponentially gaining steam and show no signs of stopping. 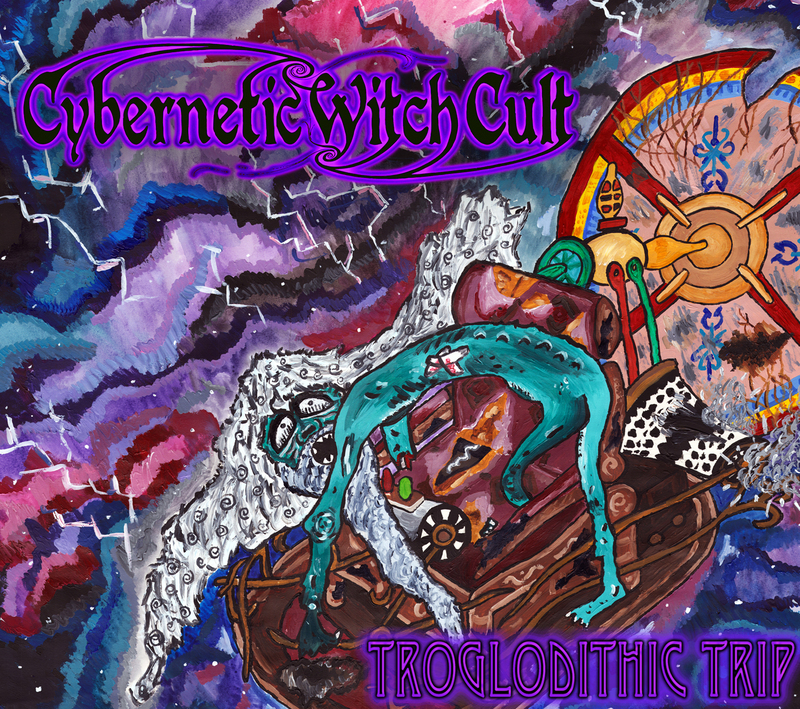 With the latest release 'Troglodithic Trip' on the horizon, Cybernetic Witch Cult will be taking their signature blend of heaviness to larger audiences across the country, with their sights firmly set on the rest of Europe.